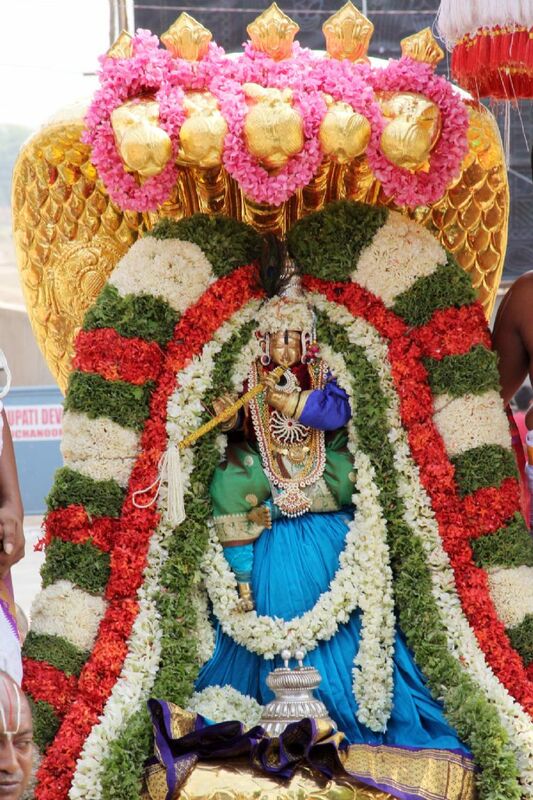 Tirumala, May 31: On the sunny morning of the on-going annual Brahmotsavams of Lord Sri Prasanna Venkateswara the processional deity of was taken out in a grand procession on 'Chinna Sesha Vahanam' around the holy mada' streets encircling the holy shrine. 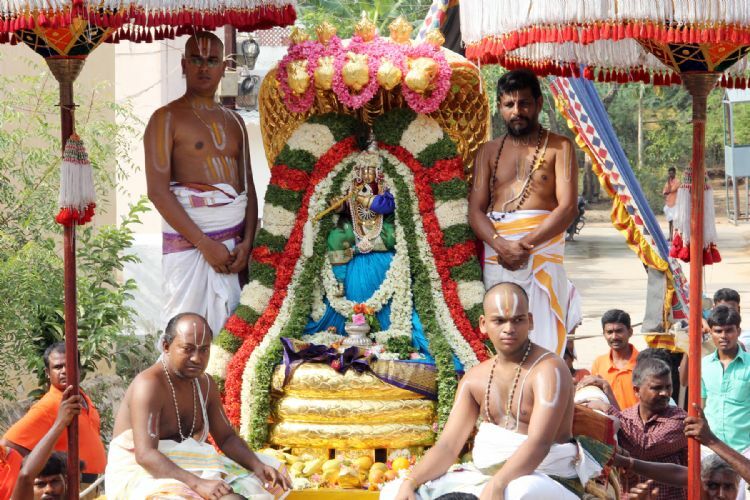 Thousands of devotees witnessed the divine procession which lasted for over two hours as he one km procession of the Chinna Sesha Vahanam was preceded by devotional bhajan roupes and the Vedic pundits reciting holy hymns. According to Hindu puranas the Kundalini Shakti is said to be most powerful level of energy and called Kaivalya Gnana. This is the potent energy available to mankind by the grace of Lord of Lords Sri Venkateswara and is represented by mighty snake. To make the human being about the important of that Serpentine Kundalini energy which enables human being to reach the 8.4 millionth manifestations, the last in the cosmic life cycle lord takes ride on Chinna Sesha Vahanam which is also believed to be the divine serpentine Vasuki. Spl GrDyEO Smt Chenchu Lakshmi,AEO Smt Nagarathna, Temple Inspector Sri Srinivasulu and others were present.